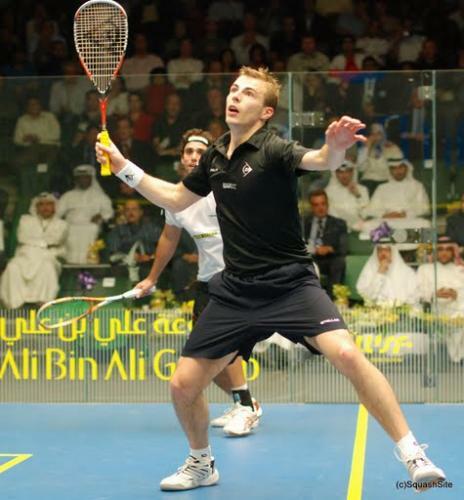 Nick Matthew overcame fellow contryman James Willstrop in the final of the $ 327.500 Saudi PSA World Open Squash Championship in Saudi Arabia last December. He became the first English World Open Champion in the 34-year history of the sport’s premier event. The tournament final at Sunset Beach Resort, Al-Khobar, was a repeat of October’s Commonwealth Games final in Delhi – and extends Matthew’s unbeaten Tour run over Willstrop to 9 matches since December 2007. Matthew, the top seed from Sheffield, reached the final after defeating title-holder Amr Shabana, the former world number one from Egypt, with four previous titles to his credit. To complete the British triumph at this year’s Squash World Open, Londoner Peter Barker also reached the semi-finals, making it 3 out of the World’s top 4 to fly the Union Jack.